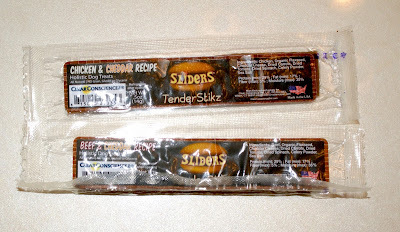 The first items in the boxare the Sliders TenderStikz in the Chicken and Cheddar and the Beef and Cheddar flavors. 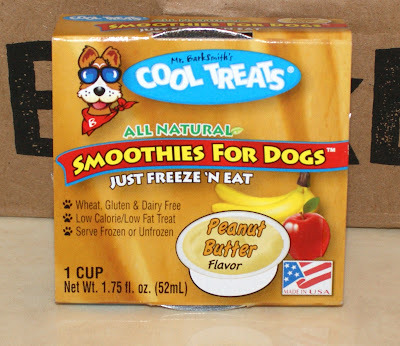 Only Dakota got to eat this because Brynn hadn't arrived yet and they would have been too big for the then-seven week old labby girl. But holy smokes... Dakota GOBBLED THESE UP. At $3.99 each, they're fairly pricey, so I probably wouldn't order these on my own. But she adored them as a nice treat. At $1.29 for each of these smoothies, these Cool Treats were definitely something I'd pick up again. I wound up buying a second one on a whim at Petco so that the girls could both eat them. It was perfect to give them while the adults were eating dinner. Highly recommend these! This Flexi-Bowl, in addition to being just adorable, is perfect for Brynn. Because she's a Seeing Eye puppy-in-training, Brynn and I go to a lot of different events around the state to help get her used to all different situations and to spread awareness of The Seeing Eye. We've been to everything from fairs to school presentations to baseball games. One of the challenges involved is keeping such a young puppy hydrated and on her feeding schedule, while maintaining a light bag. 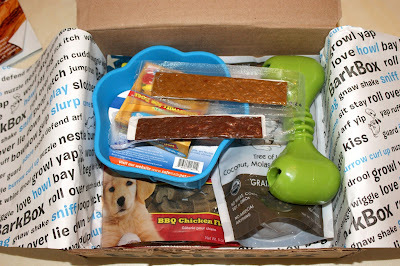 This was lightweight and easy to pack, along with a bottle of water and a little baggie of her food! It retails for $6.99 and bonus! It's dishwasher safe and oven safe to 450 degrees. 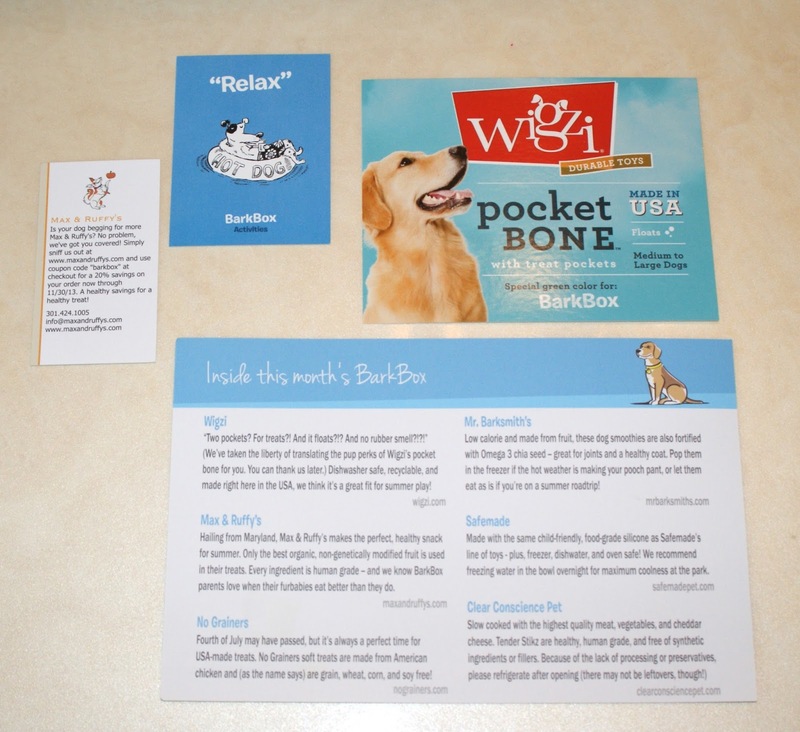 The Wigzi Pocket Bone is a chew bone with holes on each end to hide treats. 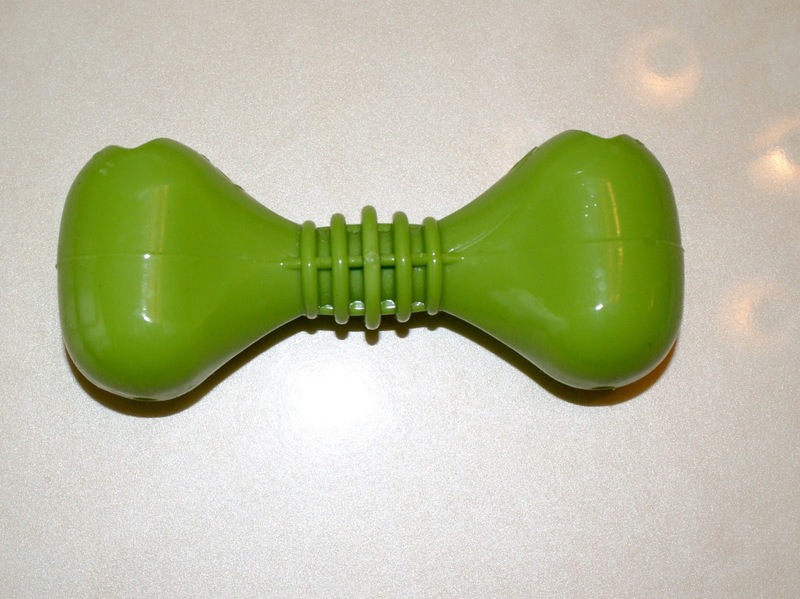 It's not only made in the USA, but also is dishwasher safe and made of vanilla! It felt a little flimsy, but has held up to the Double Labrador test! The retail value is $9.99. Completely worth it. Next are the Max & Ruffy's Tree of Life Natural Organic Treats for Dogs. Made with Coconut, Molasses, and Flax, the treats are both grain and yeast-free. They retail for $7.25. These were a bit surprising to me. I thought my dogs were going to eat these up. And Brynn gladly eats them. But Dakota, who would eat a napkin or paper towel if you let her, refused to touch these. I tossed it to her and she dropped it on the floor and walked away. Weird. 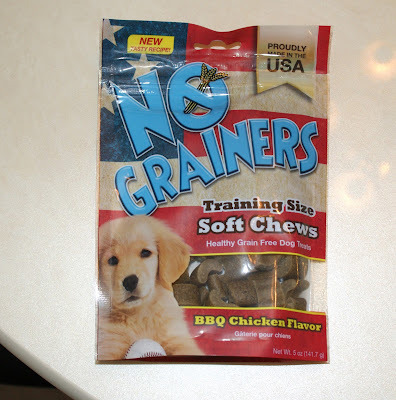 The last item in the July BarkBox was the bag of No Grainers Soft Chews. These are absolutely PERFECT for Brynn. Because they're fairly small, Dakota would eat the whole bag, so they're not really meant for her. She's also pretty well-trained at this point. 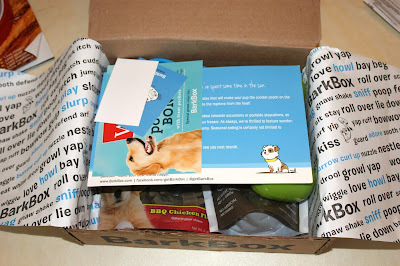 For the July BarkBox, I was MUCH more satisfied than with the June BarkBox. Even though the retail value was only a few dollars more at $38.45, items like the pawprint bowl and the Wigzi bone will last a long time in this house rather than the treat-heavy items in the June box. Four paws up! 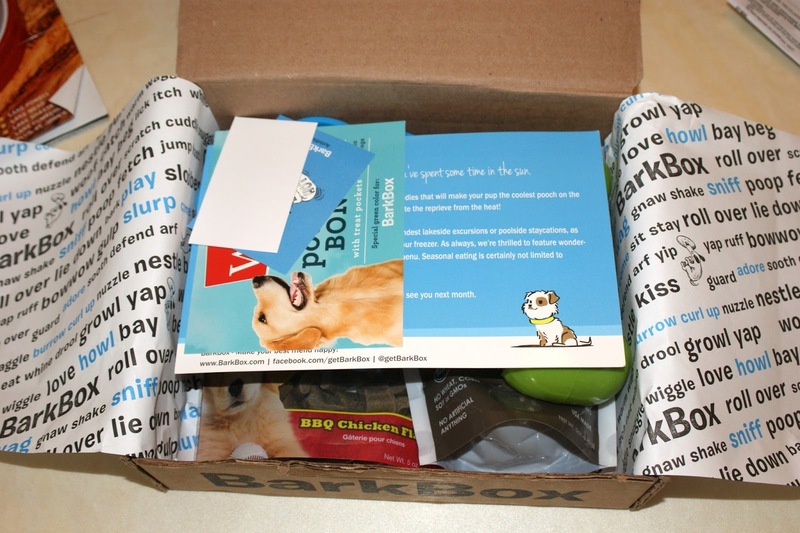 To order your pet's first BarkBox, you can click here and enter the code FBRUV10 to get $10 your first box! Your first month (September in this case) will cost just $19! My dog is one of the most important "people" (because to me, she is!) in my life. LOL Thank you for letting me know about this, I'm totally going to sign up! 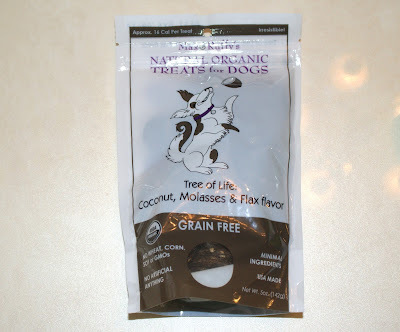 I love that they make organic pet treats! Awesome stuff in that box. Am really thinking about signing up for my Rhodesian Ridgeback. How's the quality of the toys you're received? My boston terriers would love this! I don't even have a dog but I almost want one just so I can treat it to this box! So much food! If I got subscription boxes of chocolate and delicious food every month I'd be so stoked. Adorable! I hope there's a Meow box someday, i got a cat too! I love subscription boxes, but I don't have a dog. 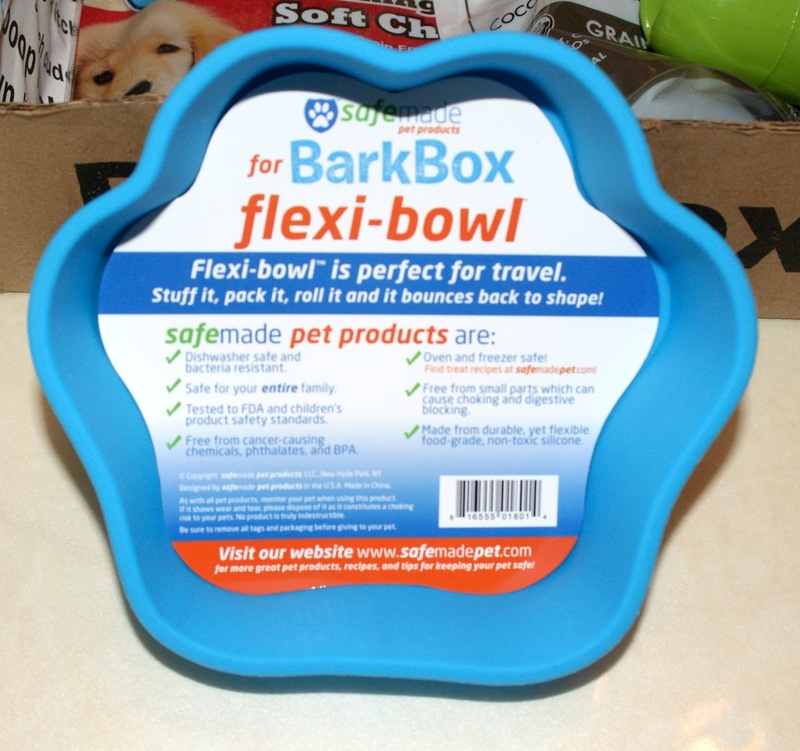 Any idea if they have something like this for cats?